NATIONAL Talent Search Examination (NTSE) has recently declared its results. Maharashtra Catalyser’s 15 students have been selected by the Government of India for scholarship upto post graduation. Abisheik Singh, informs that the exam of NTSE taken on November 4, for second phase Catalyser Nagpur’s Ayush Shrivastav, city rank 1, Soham Hedaoo, city rank 2 and Riya Rahi city girls topper and other students from Catalyser Nagpur were selected, making the highest number of selection from city of Catalyser Nagpur. With this Catalyser has proved its legacy of giving best results. 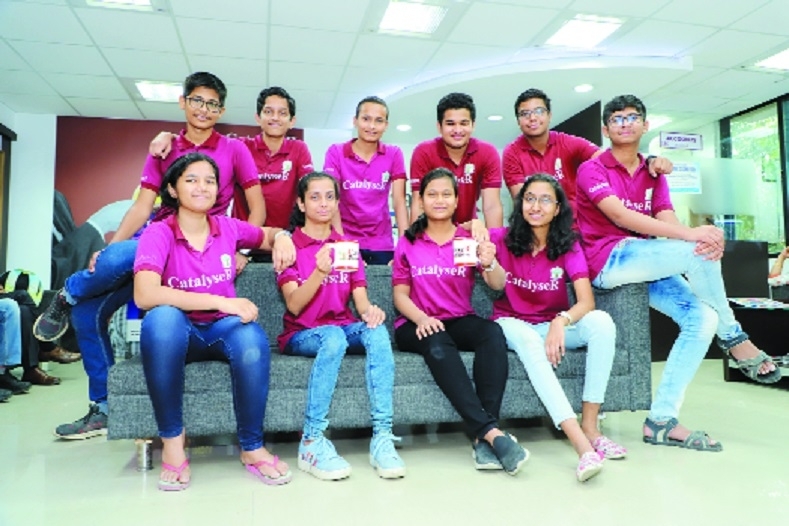 Students have given credit of their success to Catalyser’s proven system of education which brings conducive environment for competitive exams. Students are motivated to work hard not only for NTSE but IIT-JEE exams and secure a good position for themselves and bring laurels for the institute. Last year also, Catalyser has also given three toppers and made its impression. This year too, the institute is putting its efforts to retain its supremacy. Ayush Shrivastav is studying at Catalyser’s two years IIT-JEE programme. Catalyser throughout the country is known for its pro-student systems. Due to its systems and features Catalyser is able to make its impression in any city and able to give record selections. Catalyser has fulfilled its promise of quality education to parents and students of city. Prof Vipin Joshi, NTSE expert and Guru is available for students of Catalyser. His guidance is available through NTSE Guru Portal. From next year, students will be able to get on-line NTSE training through NTSEGuru.in Portal. Expert Mathematician Dr R D Sharma and former member of NTSE Paper Drafting Committee Prof M S Mahajan are preparing course material for students. Catalyser content team is also having experts from education field, which includes IITians and HoDs of many schools. Soham Hedaoo, another Catalyser topper informed that the concepts taught at Catalyser Nagpur was easy to remember. “Catalyser Nagpur had made us to work hard for even silly mistakes. Catalyser study material and tutorials has made NTSE easy for us,” Hadaoo said. Catalyser NTSE selected students are preparing for IIT/Medical. First phase selected students are prepared for the second phase through Catalyser famous NTSE workshop which is free. The workshop will start from April 6. For the free workshop, interested may contact on phone number: 8518886044.